SAN DIEGO, California — A young Democratic congressional candidate of Latino and Arab descent is running against an incumbent in a traditionally Republican district. On Wednesday, August 3, he got a boost from his old boss, former President Obama. 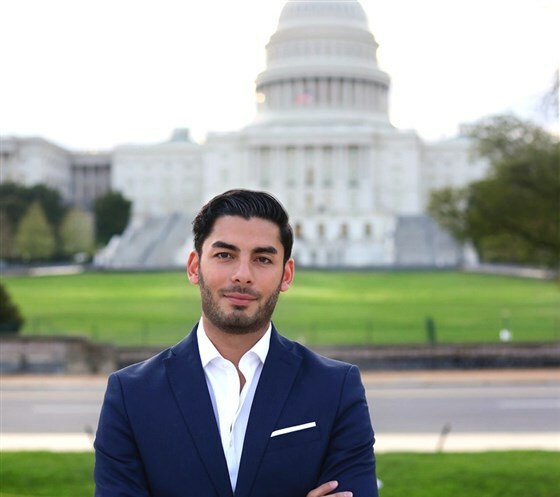 Ammar Campa-Najjar is vying to represent California’s 50th District against Republican Congressman Duncan Hunter, who was first elected to the seat in 2008. 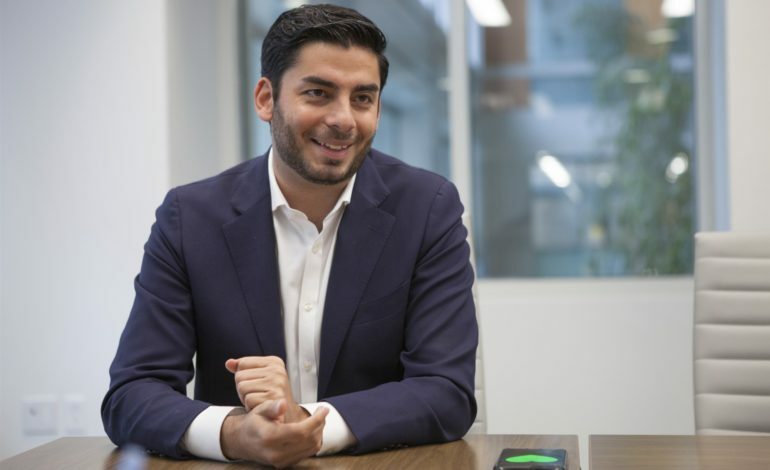 Campa-Najjar, 29, is one of nearly 100 Democrats across the country who were endorsed Aug. 3 by Barack and Michelle Obama; the former first couple released the list of candidates and pledged to lend them their support ahead of the midterm election this November. The son of a Mexican American mom and Palestinian dad is trying to oust an incumbent in a traditionally Republican district. Will Obama’s endorsement help him win in November? Campa-Najjar cut his political teeth working in the Obama administration as an official at the Labor Department. He said his experience with the former president inspired him to run for office. California’s 50th Congressional District is a traditional Republican mainstay. Spanning from San Diego in the south and running off the coast and into the deserts and forest mountains of San Diego and Riverside counties, CD-50 also butts up against Camp Pendleton, the largest Marine Corps base in the country. About 80 percent of the district’s population is White; Latinos make up about 30 percent. 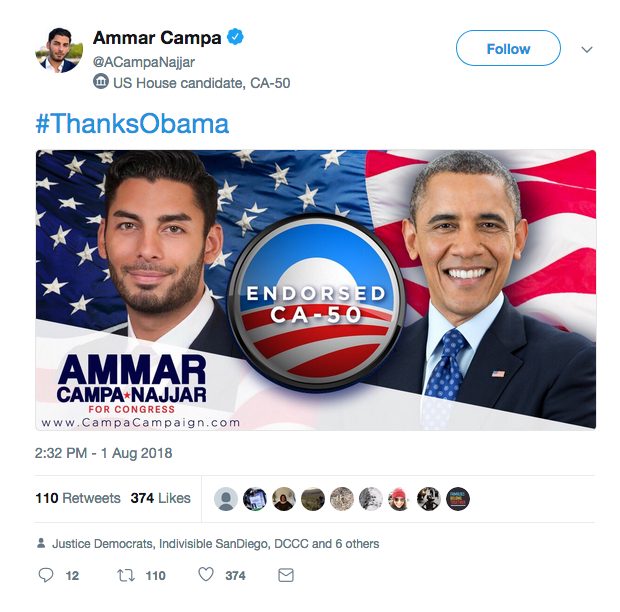 Ammar Campa-Najjar tweets, thanking former president Obama for the endorsement. Hunter is currently under an FBI criminal investigation for allegations of misusing campaign funds, but he comes into a re-election race with two advantages. He’s a former Marine and his father, also named Duncan Hunter, represented the same area before him for almost 30 years. Campa-Najjar acknowledges that he will need to mobilize new voters, a task he says the Democrats have fallen short on in the past. In his time in politics, he said, he has noticed Hispanics mobilizing but not necessarily voting. He stressed the importance of grassroots campaigning and reaching out to voters. Campa-Najjar speaks easily about his background; his mother is Mexican, the daughter of a migrant farmworker, and his father is Palestinian. 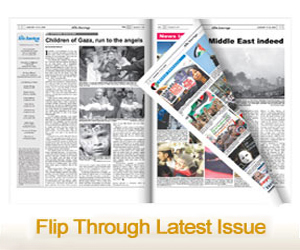 When he was a boy, his family lived for a time in the Palestinian territories. He stresses that he was not raised with any advantages and understands working families. “My mom made $16,000 a year raising two kids,” he said, speaking about life after his parents’ divorce. He described a ritual his mom performed each month, sitting on the bed. He called it”solitaire”, where she would shuffle bills around to see which one she would pay that month. “Sometimes the Wi-Fi went out; sometimes it was the water,” he recalled. Campa-Najjar is building up a political machine; he recently announced the hiring of Joe Trippi, a well-known Democratic strategist whose latest victory was helping underdog Democratic Sen. Doug Jones defeat Republican Roy Moore in Alabama. 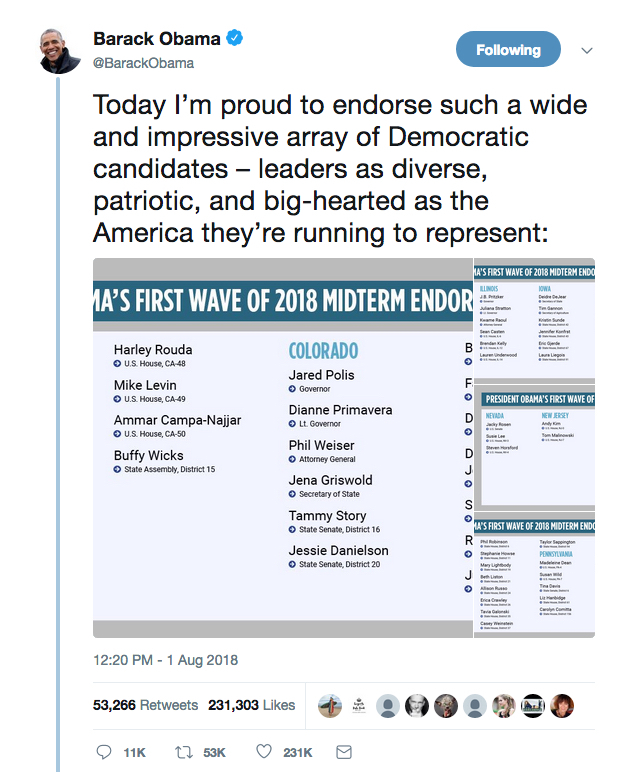 A recent internal poll from Campa-Najjar’s campaign shows him within nine points of Hunter and political pundits have CD50 as a “lean Republican” district; but considering that in the last midterm election, Hunter defeated his opponent 71 percent to 29 percent, a single digit race before the Obama’s endorsement is making this race more interesting.